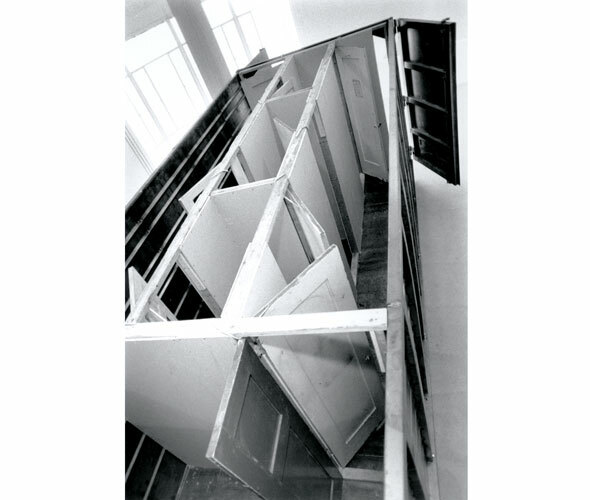 Gordon Matta-Clark was an artist of the 1970s, known for his site-specific works involving sculptural interventions in architecture and urban space. In Splitting (1974), Matta-Clark and an assistant cut through the entirety of an abandoned suburban home with a chainsaw. 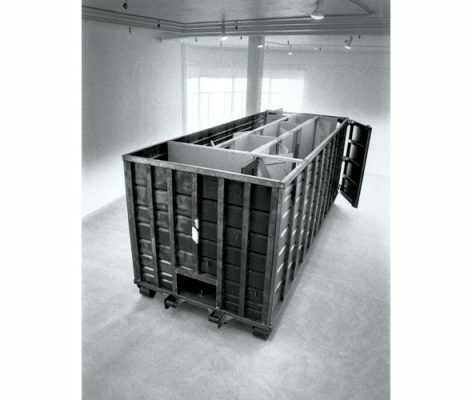 Matta-Clark’s body of work includes film, video and photographic records of his interventions as they are performed, as well as structural segments of sites, presented as sculpture in the gallery. Matta-Clark was also a cofounder and collaborator in FOOD, an artist-run restaurant offering nourishment and community in downtown New York from 1971 to 1973 .